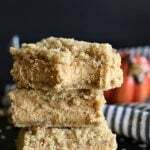 Pumpkin Cream Cheese Pastries – A buttery, flaky pastry filled with a surprise of decadent pumpkin cream cheese filling on the inside. Just to make it a little extra special the pastry is dusted with pumpkin spice sugar! 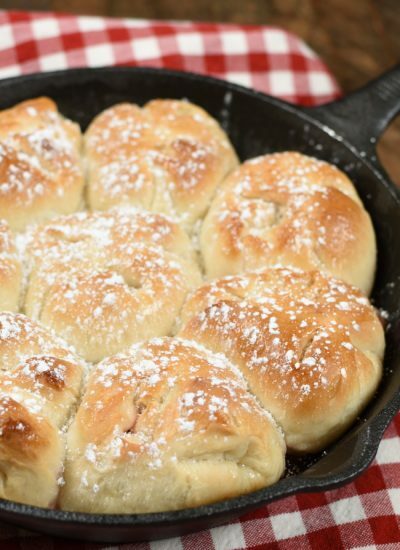 These are just the thing for a quick and easy breakfast pastry! 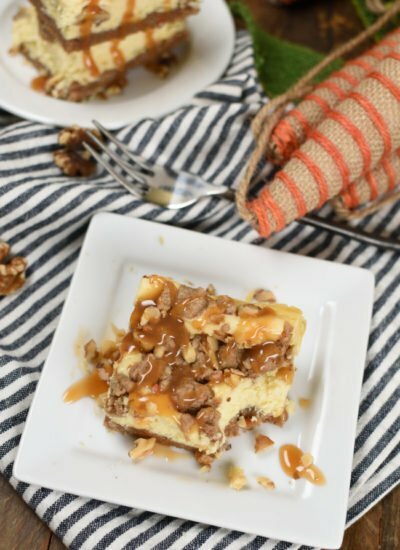 Pumpkin Cream Cheese Pastries are such and easy and yummy fall breakfast! 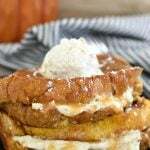 Do you guys become obsessed with everything pumpkin all fall long? Do you end up with half a can of pumpkin leftover in the fridge? These pasties are the perfect way to use it up. 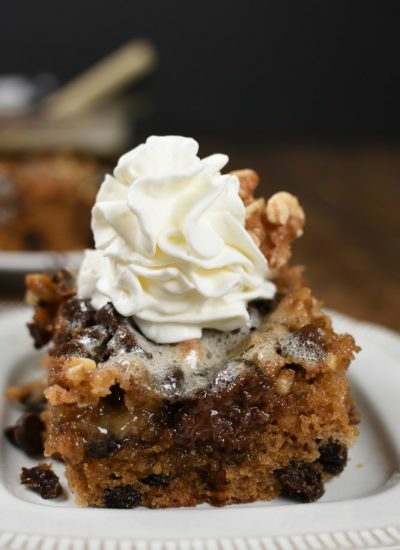 I love that they only require a few ingredients and only take a few minutes to throw together. My boys like to eat them for an after school snack or for breakfast. Really they are pretty good anytime! 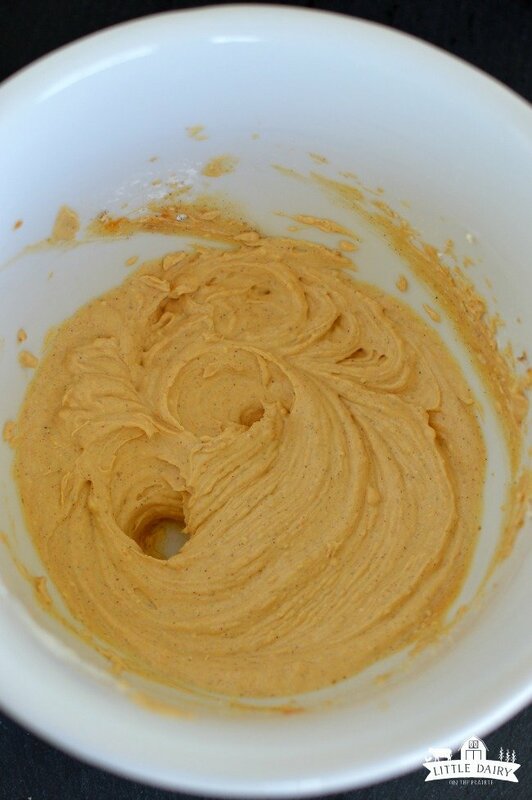 The instructions for making Pumpkin Cream Cheese Pastries are pretty simple. They begin with a can of refrigerator biscuits. I like the flaky ones. Separate each roll and stretch it into a rectangle. They stretch a little better if the biscuits are room temperature. I made mine as big as I could without ripping them and ended up with about a 4″ x 5″ rectangle. You don’t want any holes in the dough. Set them aside. Set biscuits aside and mix cream cheese, pumpkin puree, pumpkin pie spice and powdered sugar together. And vanilla, don’t for get the vanilla. And a dash of salt is always good too! Mix it up until it’s smooth. 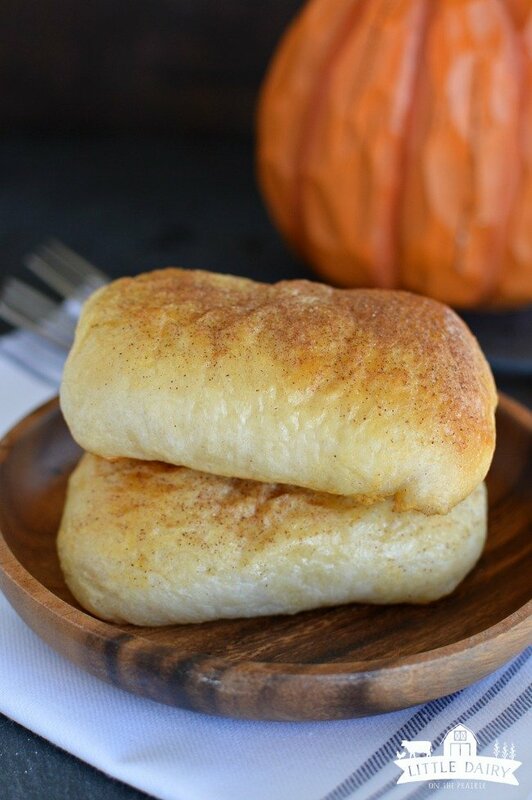 Pumpkin Cream Cheese Pastries, I finally learned how to roll them the easy way! I wish I would have rolled my biscuits a little differently. If you want to roll them the same way I did look at the pictures. If you want to roll them the way I wish I would have ignore the pictures and I’ll tell you what I wish I would have done. 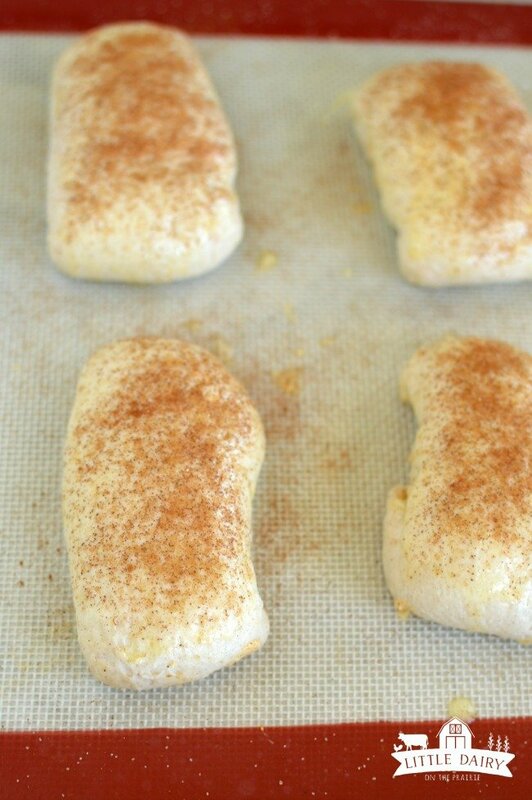 Drop a spoonful of cream cheese mixture over each biscuit. I wish I would have spooned it on the narrow edge of the biscuit instead of in the middle. Does that make sense? I wish I would have pulled the corners of the biscuit over the cream cheese filling, tucking the filling in. Then roll it up from the filled end to the other end. My new method would eliminate tucking the ends under, which was the hardest part of making these. Regardless of which rolling method you choose, brush the biscuits with evaporated milk, generously sprinkle with pumpkin pie spice sugar. So I’m not that great at creating graphics, but I think this will show you what I’m talking about! 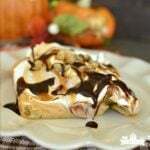 Pumpkin Cream Cheese Pastries are a great for the holidays! Fall and the holidays are on of my favorite times of the year. The fall colors are beautiful, it’s fun to wear cozy sweaters and boots, it’s cool enough to bake, and there’s lots of reasons to get together with family. Let’s face it though, it’s a super busy time of the year. And I need a few meal ideas I can whip up in no time at all. 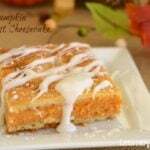 Pumpkin Cream Cheese Pastries are just right for Thanksgiving breakfast. Especially if you have company or are already overwhelmed with making Thanksgiving dinner. You need at least one super easy and impressive meal. My boys grab them on their way out the door on those super rushed morning. I’ve refrigerated the leftover pastries, warmed them up in the microwave when we were ready to eat them, and they were still amazing! You are going to love these! 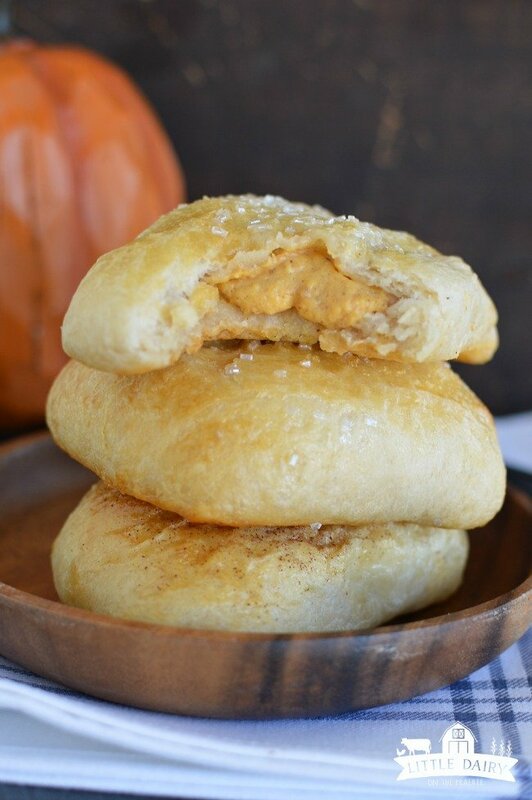 A buttery, flaky pastry filled with a surprise of decadent pumpkin cream cheese filling on the inside. Just to make it a little extra special the pastry is dusted with pumpkin spice sugar! 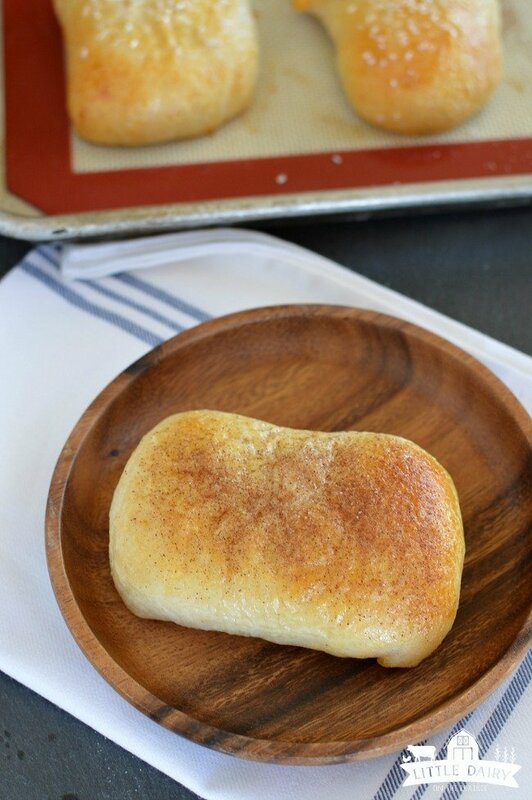 These are just the thing for a quick and easy breakfast pastry! I like to work with my biscuits when they are room temperature. Separate biscuits. 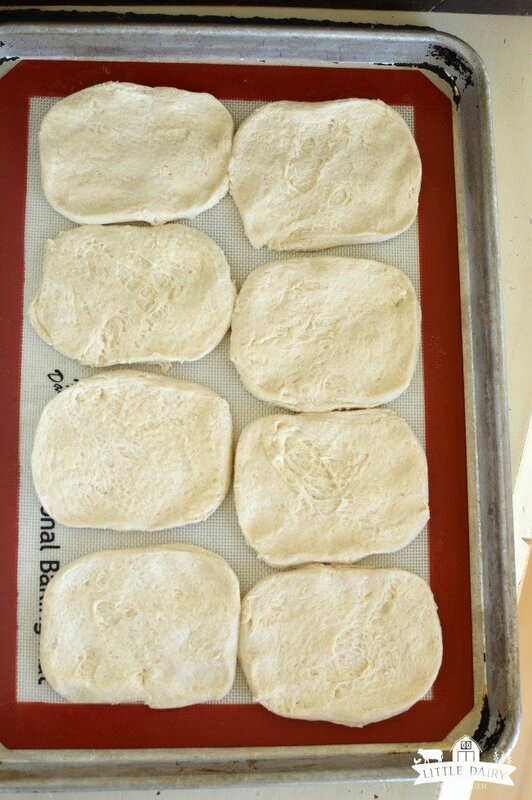 Carefully stretch biscuits into 4" x 5" rectangles. Don't tear them. 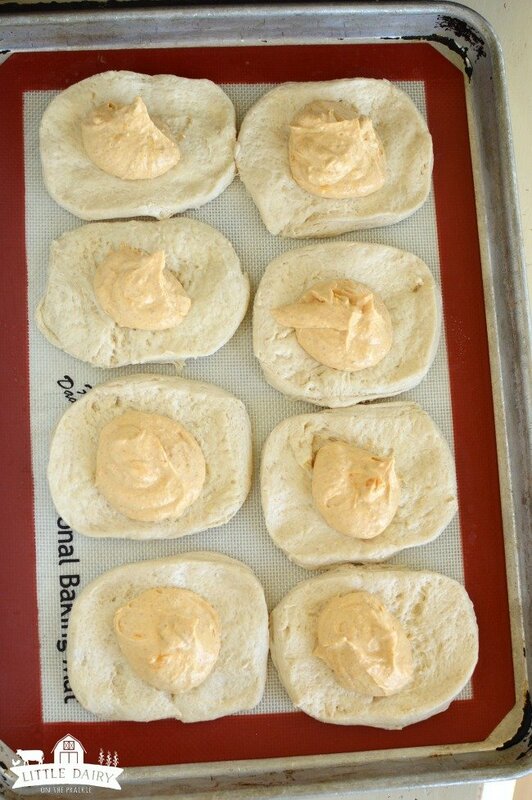 Set them on a greased, or parchment lined baking sheet. Beat cream cheese, pumpkin puree, powdered sugar, 1 tsp. pumpkin pie spice, salt, and vanilla until it is smooth. Spoon cream cheese mixture on short end of biscuits. Pull corners of biscuit over cream cheese mixture to tuck cream cheese mixture in. 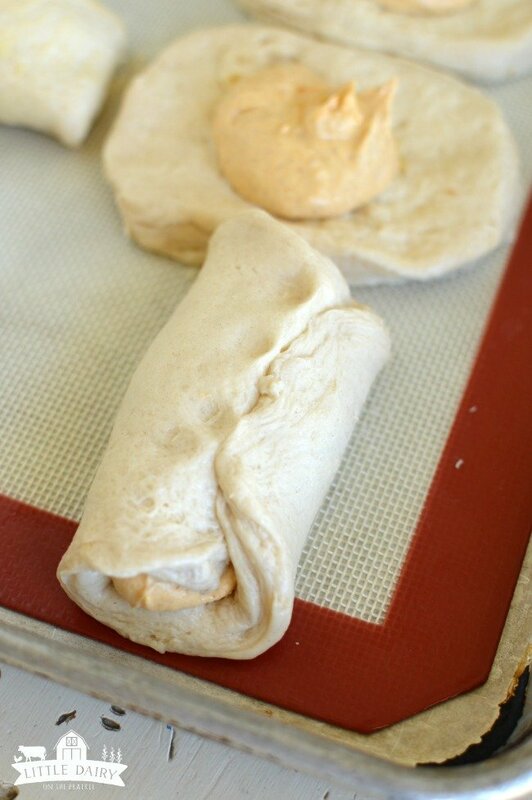 Roll pastry up. 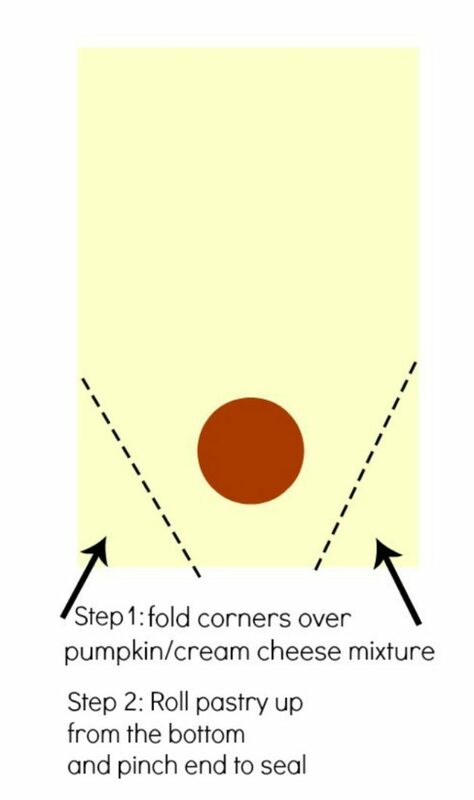 Pinch seam to seal. Place seem side down. 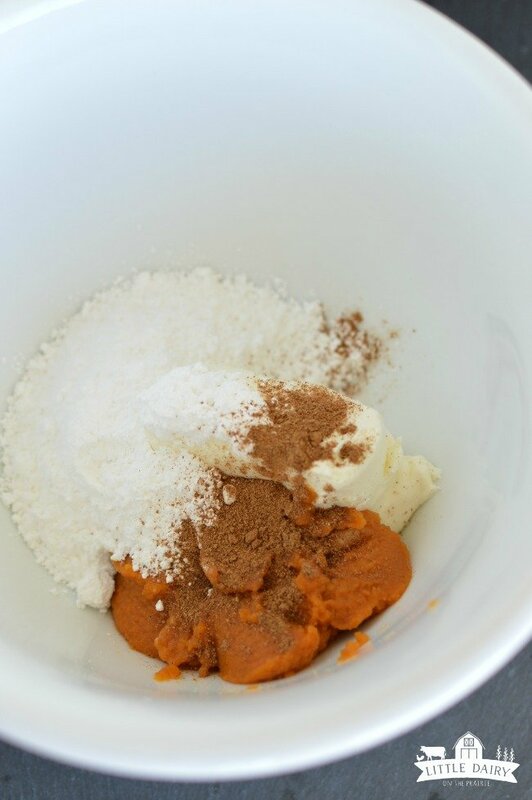 Mix pumpkin pie spice and sugar together to make pumpkin spice sugar. 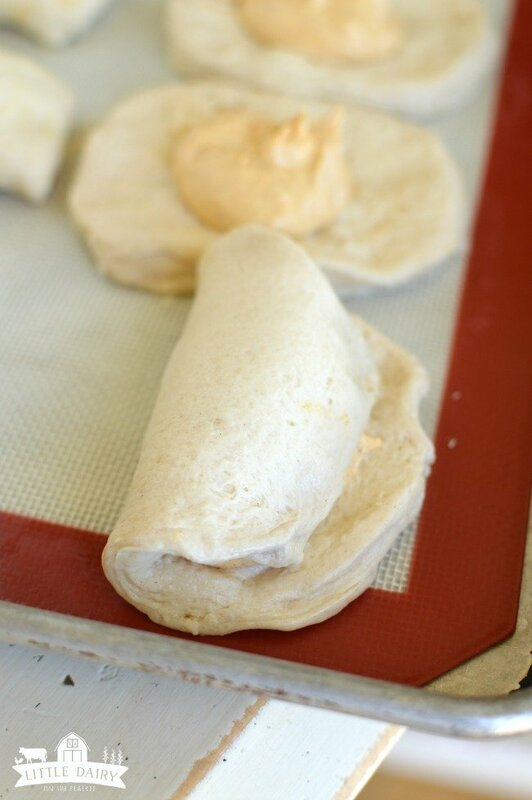 Brush pasties with evaporated milk. Sprinkle with pumpkin spice sugar. Serve warm. Pastries can be microwaved if you are serving them later. Oh, my goodness…my kids would just these sweet little pastries! The diagram is so cute!! These look amazing! So many different things you can do with these! What a great idea! So much easier than I would think! What a special breakfast this will be! I love pumpkin sweet and savory. These look fantastic. 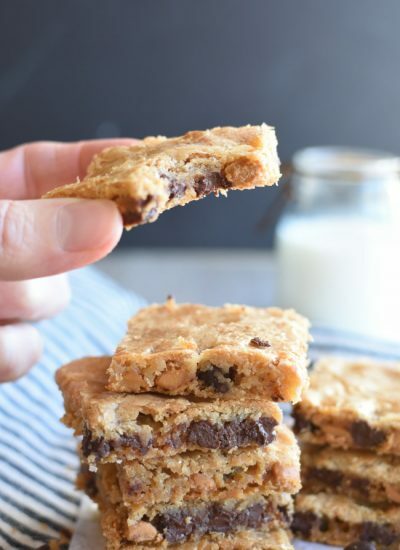 Love the inside surprise in these plus that they start out with biscuits to make them quick and easy! My kiddos will love these! So yummy!